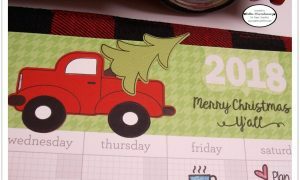 A trendy 'farmhouse theme' stamp set which includes 2 fun images and 3 coordinating sentiments. This set will help you create amazing cards, layouts, gifts, favors, decorations, home decor ... and MORE! 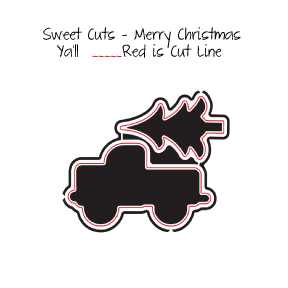 Coordinates with our Merry Christmas Y'all Sweet Cuts die set! 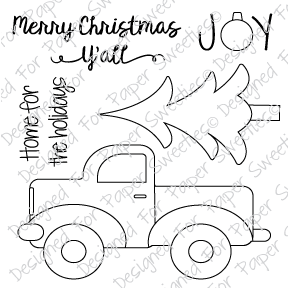 A steel die set to coordinate with the Merry Christmas Y'all acrylic stamp set! Sweet Cuts dies make your crafting as easy as 1-2-3 … stamp the Paper Sweeties image, cut using any die cutting machine and the Sweet Cuts metal die, decorate as desired!